Daanbantayan Municipality is one of the attractive areas in Cebu Province. One of its greatest gifts are the islands with white beaches and crystal-clear waters. Part of the municipality is the one ‘mysteriously’ called Malapascua (‘mal’ bad and ‘Pascua’ Christmas in Spanish) Island. It is endowed with great beaches where locals enjoy their laid-back lifestyle, while many resorts offer exciting facilities and services to island visitors. Daanbantayan Municipality is part of Cebu Province located on the northern tip of the island. This municipality is ranked as first municipal income class of this Visayan province. The most recent census (2015) indicated that Daanbantayan has over 80 thousand registered residents and around half of them are registered, voters. Moreover, ‘Bantayan’ would most possibly refer to the watchtower (called ‘baluarte) in the municipality which is also found in many places especially on the southern side of the province. Some research results mentioned that there are around 22 extant watchtowers and a total of over 70 were built during the Spanish period. In short, we can say that ‘daan’ plus ‘Bantayan’ could mean ‘an old watchtower’ (where watchers, such as soldiers or civilians could watch or signal incoming pirates). Daanbantayan Municipality is one of the most hard hit by Super Typhoon Haiyan (called Yolanda in the Philippines) on November 8, 2013. The super typhoon ripped off most house roofs, destroyed most standing structures, decapitated coconut trees, knock down electric posts, and left 50 people injured and nine people killed. Just like most municipalities in the country, Daanbantayan is subdivided into a smaller political unit called ‘barangay,’ each with a ‘Barangay Captain’ heading the community’s political activities. For a bit of information, you can take an outrigger boat from Maya Port of Daanbantayan Town for Malapascua Island and other island destinations. Maya is also the terminal for buses and other vehicles coming from different places including transports from Cebu City, among others. Also, it was thought that the original site of the town of Daanbantayan was located in Tapilon Barangay. The town of Daanbantayan was occupied by the Japanese Imperial Forces in 1942. They then built military garrisons and concentration camps for natives who resisted their rule. Since Cebuanos did not like the presence of such forces, the Cebuanos formed resistance groups (guerillas or revolutionaries—depending on the point of view of the speaker I guess) with the help of the Philippine Commonwealth Army that sent the Japanese forces away eventually. The liberation of Daanbantayan in 1945 from the Japanese occupation through an encounter has since been called the Battle of Daanbantayan. You can certainly read this historical fact and even meet some older people still living who can recall the events vividly. Moreover, if you love to visit historical sites, you can surely visit those places where the historic battle took place. No one can argue that Daanbantayan has one of the best white sand beaches in the province of Cebu. The marine life in this northern travel destination boasts its colorful and rich aquatic resources. 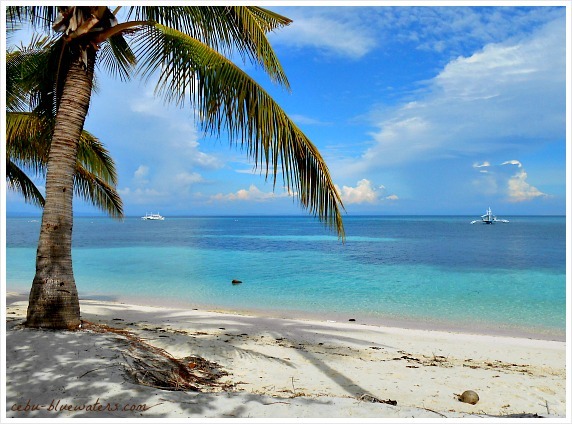 One of the most popular travels, adventure or holiday destinations in Daanbantayan Municipality is Malapascua Island. 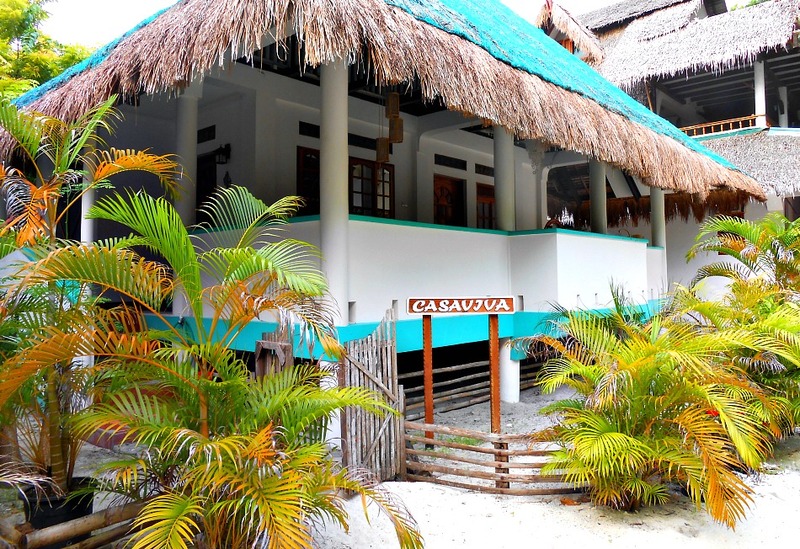 It has excellent resorts that provide various services including accommodations, restaurants, scuba diving lessons and diving activities, island tours, and other fun and exciting water activities. However, since festivities in the Philippines are profoundly influenced by Spanish way of gathering locals into a pueblo to celebrate Christian activities, we often observe these celebrations combined with religious themes. Daanbantayan Municipality has a lot to offer to anybody who wants to explore and see local cultural practices and heritage. In various places within the municipality, you can see and experience natural tropical plants and animals, see historical sites and artifacts, or explore and experience the sea and marine life. A more than 2-century old church inaugurated in 1858 and completed in 1886. The original design of the church’s façade is still intact. Due to the repairs and renovations, unique architectural plans have been changed. It is a historic site where the battle called Daanbantayan Volunteers and other 19 bandits led by Captain Berino was fought in 1898. It is an abandoned Muslim settlement established by Datu Daya before the Spanish occupation. Early settlement by the river is based on the artifacts and human bones found in the area. It is a rocky island, located 15 kilometers from Malapascua Island, where you can find nesting birds, flying fox colony, corals, nudibranchs and anything rare. The famous thresher sharks that live about 350 meters down below can be found. Scuba divers, scientists, and curious individuals come to observe and enjoy the presence of these sharks. 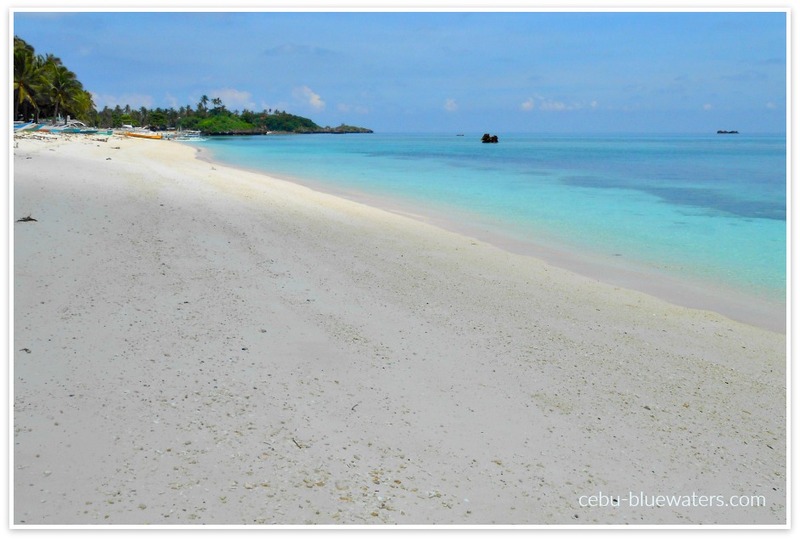 The dreamy sight of Malapascua Island's beach and sea view. Most of the excellent beach resorts (or beach hotels) are established on Malapascua Island, which belongs to Daanbantayan Municipality. Malapascua offers resorts and other travel and holiday resources at various rates depending on your preferences. You can find the beach resorts available on Malapascua Island page of this website. Now, you can also enjoy a couple of resorts located in Daanbantayan Town area. Hope this page is helpful to your search. Please, let us know should you need more information or further information that should be included on this page. Also, I would be delighted if you point any relevant changes that need to be added here that can help other visitors of this guide website. To get to Daanbantayan and Malapascua Island, please see more details on this page.